Would you like to know which animal was sacred to the god Mithra? Why were there sailors in the Colosseum? Where is the highest obelisk in the world? With Rome Colosseum and the Caelian Hill Tour you can study your map, spot the the starting point and start your art treasure hunt in the heart of ancient Rome. The Colosseum, everlasting symbol of Rome, will be the beginning of our journey through the history of the eternal city. Imagine to display a big lake where today the amphitheater is, this was the location appointed by the Flavian dinasty to build the Colosseum, setting of ferocious battles between wild animals and hordes of gladiators. Starting from here, we will climb the Caelian Hill and start discovering the churches of San Clemente and Santo Stefano Rotondo, once pagan temples full of animals to be discovered on their walls and mosaics. We will then have a walk inside Villa Celimontana, the perfect place go duck hunting and boars disguised on obelisks and ancient Roman statues. A majestic dragon will be in charge of saying farewell before we move to the last stage of our journey, the Circus Maximus. Challenge other participants, let yourself be lead and immersed in the historical framework and in the interesting stories each clue is linked to. Become a real art treasure hunter! Test yourself, play the game with your friends and other participants, then take the final quiz! 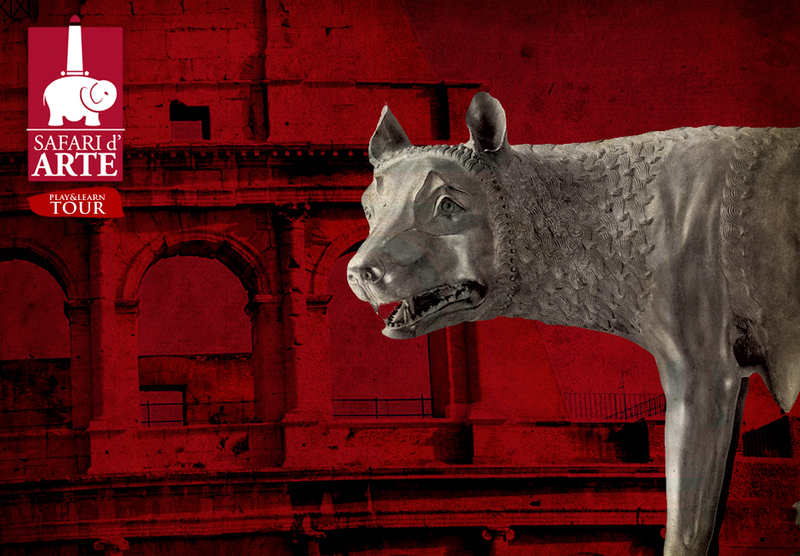 This what you can experience by choosing Safari d’Arte Rome Colosseum and the Caelian Hill Tour!